Wholesale quality disposable catering supplies like Bamboo Skewers, Paddle Skewers, Chopsticks, Steamers, Cocktail Sticks and eco-friendly Wooden Ice Cream Sticks, Craft Sticks as well as a variety of other related products. All of our products are strictly produced according to FDA (PCP) or EN71-3 regulations. Our main markets are the Americas, Europe and Australia and most of our clients are wholesalers, importers, distributors, retailers or some chain restaurants. We have been in the bamboo disposable catering supplies for years. We offer various skewers and sticks that can be customized and packed for you. Our fastest delivery time is 25 days for 20’GP containers. We strive to offer consistent quality as well as on-time delivery. 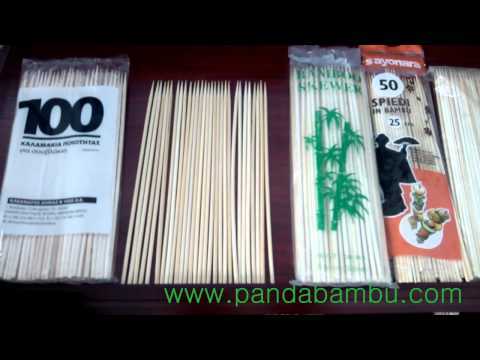 Nine Zero Trade & Development Limited (Panda) provides quality disposable catering supplies like Bamboo Skewers, Paddle Skewers, Chopsticks, Steamers, Cocktail Sticks and eco-friendly Wooden Ice Cream Sticks, Craft Sticks as well as a variety of other related products.